Javier ‘Chicharito’ Hernandez reported a thigh problem following his outing for Mexico in a World Cup qualifier against Costa Rica. 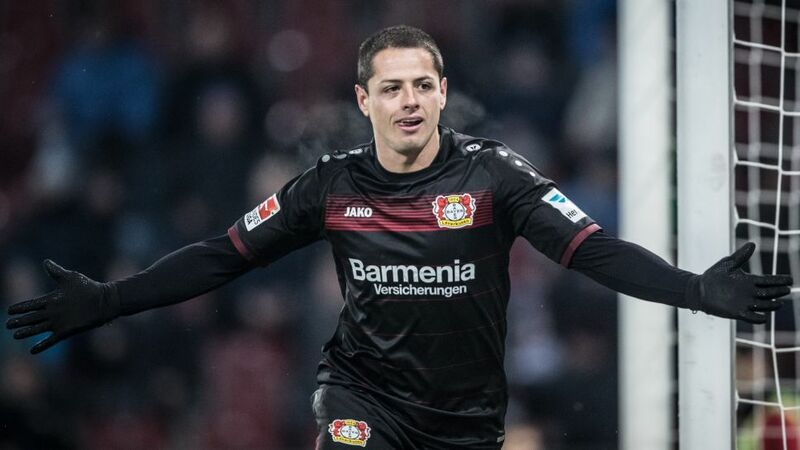 His 46th goal for his country in that match saw Chicharito draw level with Jared Borgetti as Mexico’s joint-record goalscorer, and despite playing against Trinidad and Tobago on Tuesday with the injury he could be doubtful for Sunday. A toe injury saw Julian Baumgartlinger drop out of Austria’s squad for the friendly against Finland on Tuesday. The 29-year-old returned to Leverkusen early, and coach Tayfun Korkut will hope the late Sunday afternoon kick-off will give the midfielder enough time to recover. Andries Jonker has goalkeeper Diego Benaglio available for the first time since he took over at the Volkswagen Arena, with the Swiss stopper, who played in a friendly against DSC Arminina Bielefeld during the international break, having recovered from a hip problem. But Koen Casteels has only conceded once in Jonkers’ three games in charge so far, and has a strong case for remaining between the sticks. Mario Gomez shook off an adductor issue to score in Germany’s 4-1 World Cup qualifier win over Azerbaijan on Sunday and should be in shape for the clash with Leverkusen a full week later. Leverkusen possible line-up: Leno - Henrichs, Dragovic, Toprak, Wendell - Bellarabi, Baumgartlinger, Kampl, Brandt - Mehmedi, Volland. Wolfsburg possible line-up: Casteels - Blaszczykowski, Knoche, Gustavo, Horn - Bazoer, Guilavogui, Arnold - Didavi, Gomez, Malli.